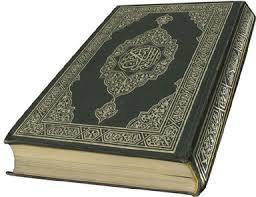 This writing is a continuation from the article "Koran Contradicts". The following verses from the Koran will prove that this so-called sacred book of the Islam faith is nothing but a blatant writing of contradictions against its own verses, science, history, and even common sense! The Catholics honor and adore the virgin Mary, because she is the mother of Jesus. Since she is the one responsible for giving birth to the Son of God, the Catholic church exalts her as a high figure deserving praise and reverence. Thousands of Catholics go so far as to worship images of her and emphasize her as much as they would emphasize the Lord Jesus Christ. In their doctrine concerning Mary, they believe that she always remained a sinless virgin after giving birth to Christ. However, the word of God says otherwise. Contemporary Christian music is used as a tool to lure many people into the New Evangelical churches. 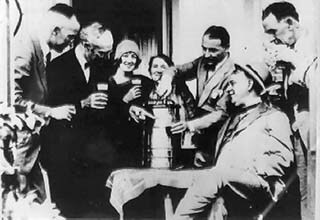 Jehovah's Witnesses' second president, Joseph Rutherford (seated) and his followers celebrate the end of Prohibition (1933) with a few cold beers.